The Grand Prix may be over but there’s still one more weekend of racing on the peninsula before things wrap up for 2010 and we head into the long winter break of…oh, about three weeks. There’s plenty going on too. At Seoul, the last big handicap of the year on Sunday afternoon will see Ttukseom Cup winner Triple Seven put in an appearance while down at Busan, there are co-features on Friday with the likes of Sangseung Ilro, Areumdaun Jilju and Night Moves all in action. 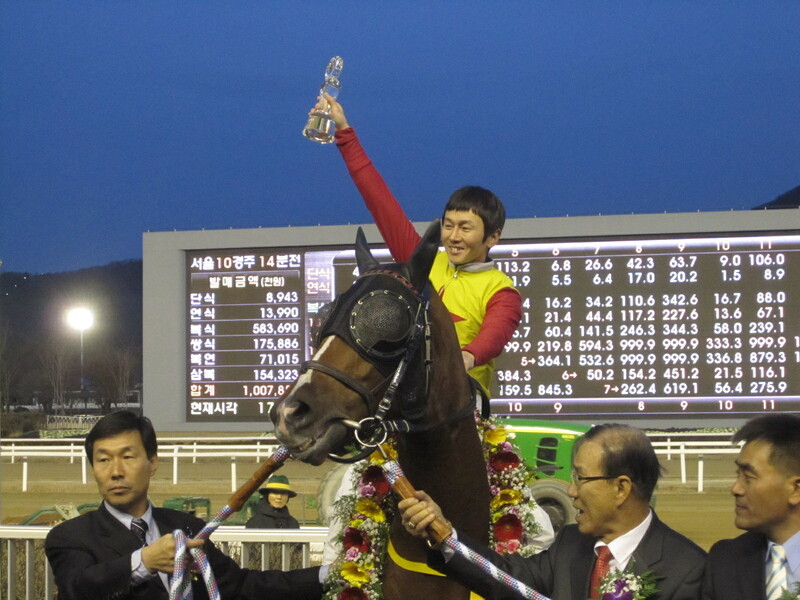 Grand Prix winner – and therefore Champion Korean Racehorse of 2010 – Mister Park, was born in Korea. However, he belongs to a group of horses that are considered neither fully Korean nor Foreign-bred. The reason is that while he has spent all his life in Korea, his dam (mother) Formal Deal was imported to the country while pregnant. Formal Deal was bought by the Korea Racing Authority (KRA) for $30,000 at the Keeneland November Breeding Stock Sale in 2006 and arrived in Korea the following January. When she went through the sales ring, she was in foal to stallion Ecton Park. And that foal was Mister Park. 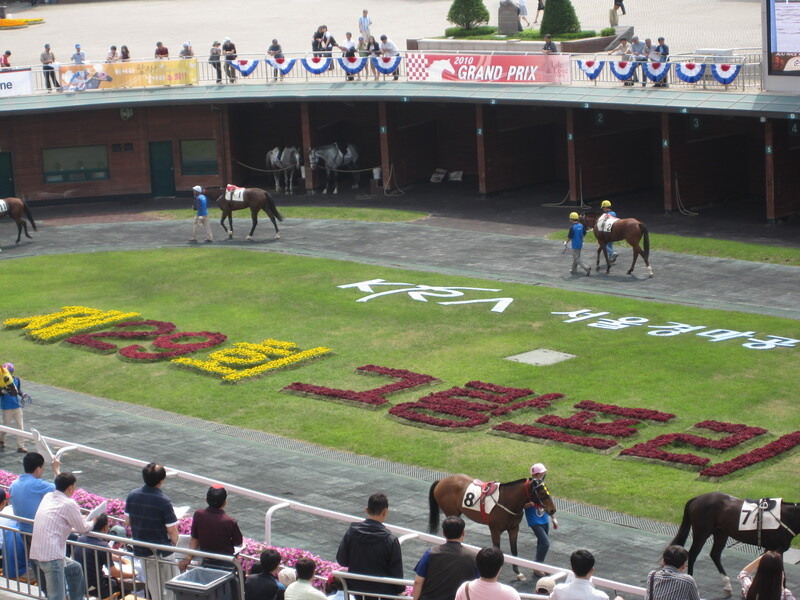 While Korean buyers are restricted by law to spending a maximum of $20,000 on a colt at an overseas sale, they may spend up to $40,000 on a filly or broodmare. The thinking behind that is to protect and promote the domestic breeding industry; and buying a mare in foal in theory gets a racehorse as a bonus. Those foals are considered to be Korean bred and are eligible to run in any race in Korea with the exception of the three-year old Classics; the KRA Cup Mile, Korean Derby, Oaks and Minister’s Cup. Being a gelding, Mister Park was doubly unqualified for those races. It makes sense. 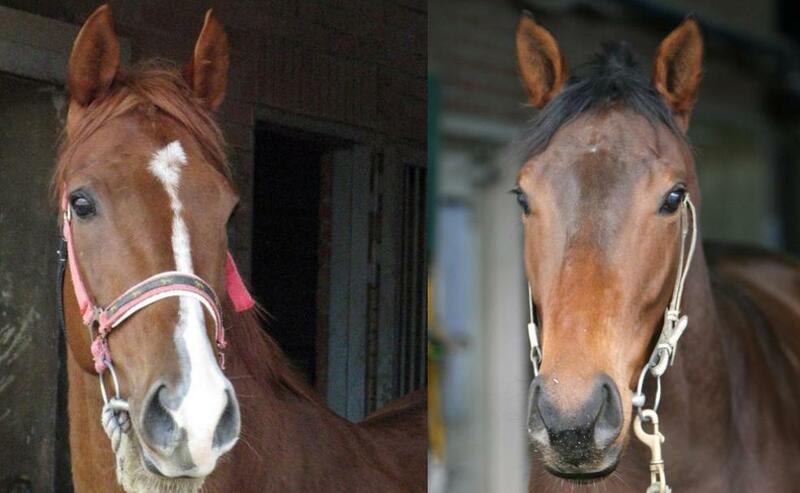 Young racehorses imported to Korea don’t generally have superior pedigrees to those sired domestically. There are some good sires in Korea – certainly good enough to produce foals to match those available for $20,000 at two-year old sales in the USA. However, there remains a significant advantage to being broken-in and initially trained overseas. It is for this reason that the KRA has for some time, been seriously considering setting up a training centre in Ocala, Florida. 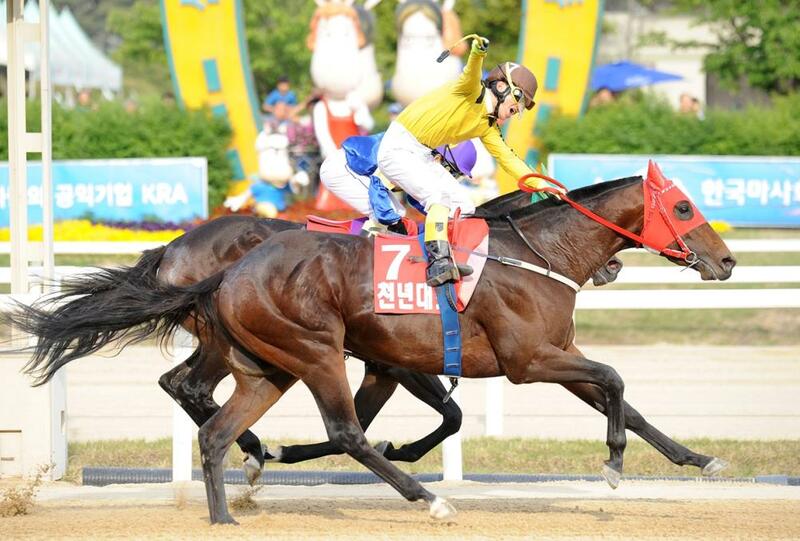 Mister Park’s Grand Prix win, only the fourth by a horse listed as Korean-bred in twenty-nine runnings of the race, is therefore something of a triumph for domestic racing here. Even more so in that his sire, Ecton Park, who had long been popular with Korean buyers, had been finally purchased by the KRA last year and is now standing at the KRA’s Jeju Stud Farm. Sadly, there will be no reunion with Formal Deal. Formal Deal [Formal Gold – Green Noble (Green Dancer)] born in 2000, made her racing debut as a three-year old at Woodbine Racecourse in Toronto in 2003, finishing a rather inauspicious fifth of seven over seven furlongs. She ran another seven times – five at Woodbine and twice when shipped down to Fair Grounds in Louisiana – before finally being successful, in what turned out to be her final race at Woodbine on August 4, 2004. She was retired with career figures of nine runs, one win, one second, and three third place finishes. Two years later and in foal to Ecton Park, she would go through the sales ring in Keeneland and be bought by the KRA. Sadly, her time in Korea was brief. She gave birth to Mister Park in March 2007 and later that year was covered by stallion Sakura Seeking but no foal resulted. Then, tragically, in 2008 she was struck down by colic and died in July that year. Known in Korean as “Po-In-Ma” those horses sired elsewhere but born in Korea have long accounted for many of the competitors in the upper echelons of racing here. Among current the current elite class are the mare Top Point (Tom Cruiser) and colt Ace Galloper (Chapel Royal). More significantly, at both Seoul and Busan, the outstanding two-year olds of the year came from this category. In the capital Magic Party (Artie Schiller) has won three of her four races, including the Gwacheon Cup, while down at Busan another filly Bulkkot Gisang (Langfuhr) has cruised to five wins from five starts. It’s early days but perhaps one of them could go on to emulate Mister Park a year from now. They all put their reputations on the line and at the end of the 2010 Grand Prix Stakes, it was Mister Park who came out covered in glory while Tough Win, Dongbanui Gangja and Dangdae Bulpae all slumped to defeats of varying ignominy. Yet it was a performance full of valour, spirit and ultimately stamina from Mister Park, who capped a front-running performance by repelling the late charge of Larrycat at the end of the season’s longest and most prestigious race. As it always does, the Grand Prix provided Korean racing’s most dramatic and absorbing few minutes of the year. From the raucous reception the horses and jockeys received in the paddock, to the triumphant celebration of the winning connections twenty minutes later, as ever it was unlike anything else in the calendar. As dusk fell on Seoul Race Park, we saw a race that won’t be quickly forgotten. The unbeaten Tough Win was sent off as slight favourite over double Grand Prix champion Dongbanui Gangja with Dangdae Bulpae third in punters’ reckoning. And it was Dangdae Bulpae who was sent into an early lead by jockey Jo Chang Wook with Yoo Hyun Myung on Mister Park and Cho Kyoung Ho on Tough Win following close behind. A roar went up from the assembled 50,000 crowd as Choi Bum Hyun brought Dongbanui Gangja into contention in the back straight. As they turned for home, all the leading contenders were exactly where they wanted to be. Dongbnaui Gangja was the first to falter. He blew his chance in the Busan Metropolitan by going uncontrollably wide and although Choi Bum Hyun fought valiantly, the bad habit returned. The champion had given himself too much to do. Then it was the turn of Dangdae Bulpae. The Minister’s and President’s Cup winner tried to kick on as they entered the home straight but he had nothing left to give and the field swallowed him up. Mister Park and Larrycat were still travelling well with a furlong and a half to go. Now it was make or break time for Tough Win; he needed to find an extra gear. He couldn’t. Mister Park hit the front with Larrycat and Yeonseung Daero, who had emerged from nowhere, in hot pursuit. In the final furlong Larrycat looked to have him collared but You Hyun Myung found one last reserve of energy in his mount to propel them over the line first. 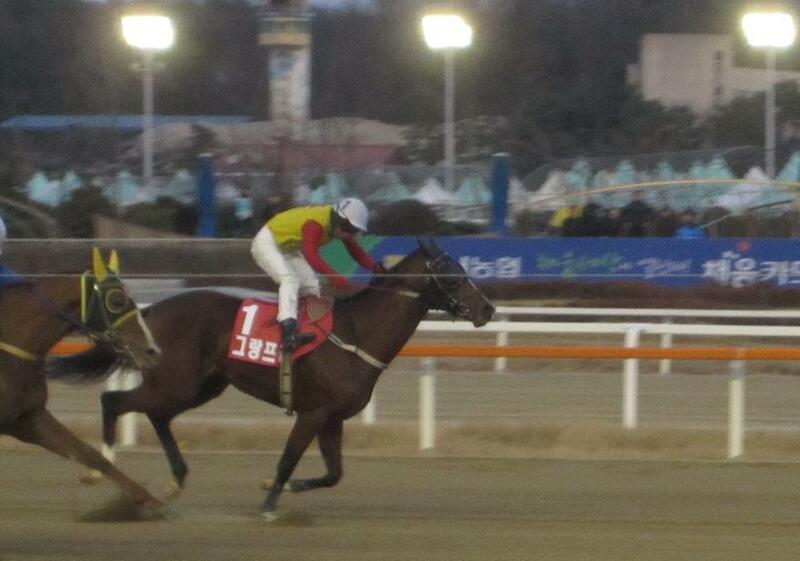 Larrycat was a brave second and Yeonseung Daero a superb third. Tough Win battled home for fourth while Seonnyang Yongsa and Jo Sung Gon flew through the field in the final furlong to claim the last of the money placings. As for Tough Win, 2300 metres was always going to be a tough ask. 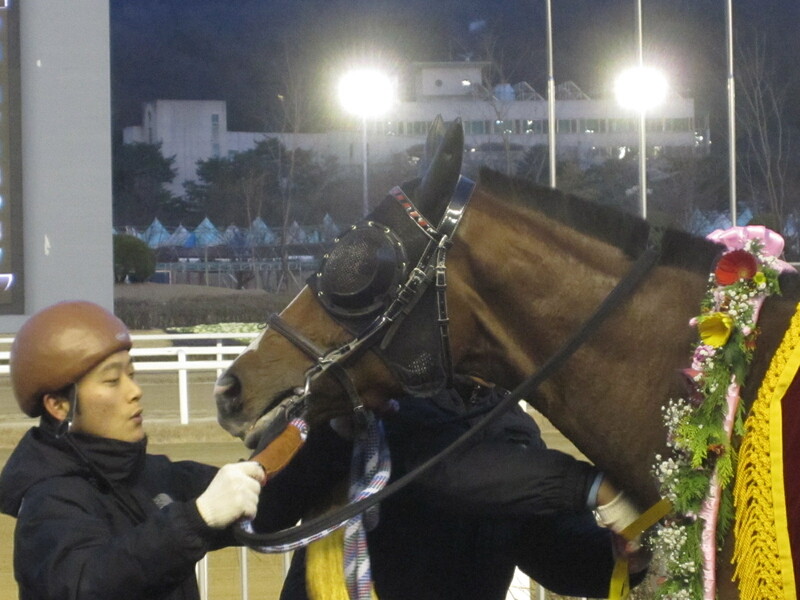 His unbeaten record is now gone, but he remains top horse at Seoul. His inevitable battles to come with Larrycat, now himself firmly established among the elite are something for us to look forward to in 2011. Likewise, Dangdae Bulpae simply didn’t stay the distance. This is a colt who will be back next year. For Dongbanui Gangja though, things are less straightforward. He was beaten by seven lengths today, however he cost himself more than that by running wide on the final turn. This is the second time it’s happened this year as the five-year old – now a stallion – gets harder and harder to control. A word too is necessary for Yeonseung Daero who again gave a courageous, battling performance. It would have been so easy for his connections to keep him home at Busan running against fellow Korean-bred horses and cherry-picking big purses. As always they showed themselves to be sportsmen, pitching their champion against the best there is and letting him prove himself. Yeonseung Daero almost always runs in open company and today he was just three lengths off being crowned the best of the best. That title, however, goes to Mister Park. 16/1 in the betting he outran and outstayed the rest. 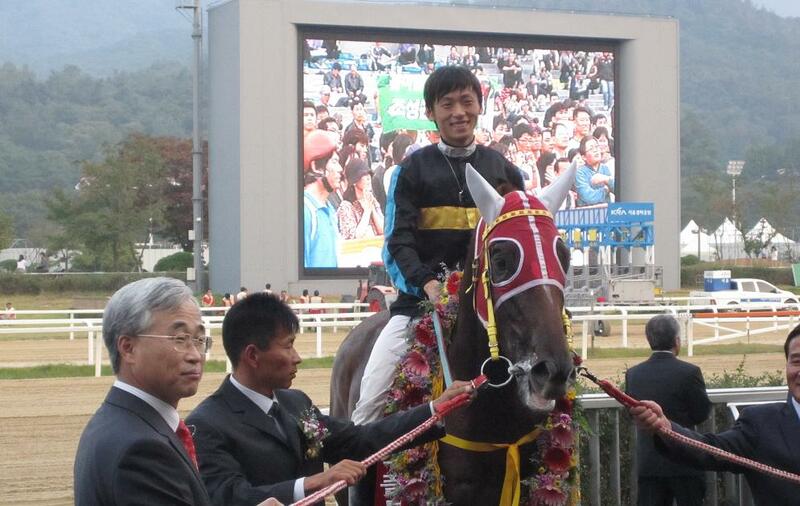 Running nine times and winning nine times, he is the Champion Korean Racehorse of 2010. Something’s got to give. In fact, a lot has got to give. Will it be Dongbanui Gangja’s two-year reign as Grand Prix champion? Mister Park’s ten-race unbeaten streak? Tough Win’s lifetime unbeaten streak? 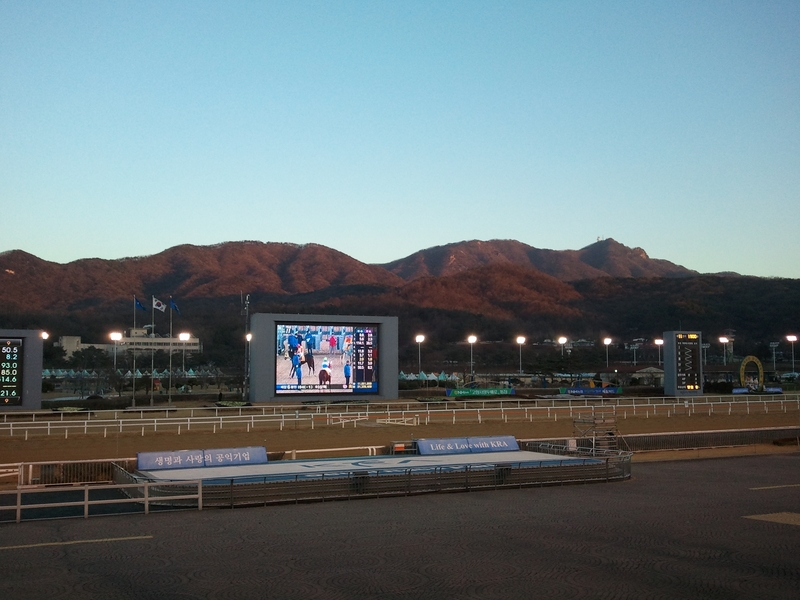 It could be all three; right now the only certainty about tomorrow’s Grand Prix Stakes is that it’s going to be very cold when twelve of Korea’s best horses line up at Seoul Race Park for the nation’s most prestigious horse race. Most see it as a straight fight between Dongbanui Gangja and Tough Win. The younger Tough Win is undoubtedly faster. If this was any race other than the Grand Prix, which is run at 2300 metres, he’d be long odds-on. However, he’s untried at the distance and if he does not stay-on, Dongbanui Gangja is the most likely to take advantage and claim an unprecedented third consecutive Grand Prix. If he could do it, he will have a strong claim to be called the greatest ever in Korean racing. However, there are three horses among the seven raiders from Busan who warrant serious consideration. Dangdae Bulpae is the outstanding Korean colt of this year and has been just as fast as Tough Win in winning the Minister’s and President’s Cups. 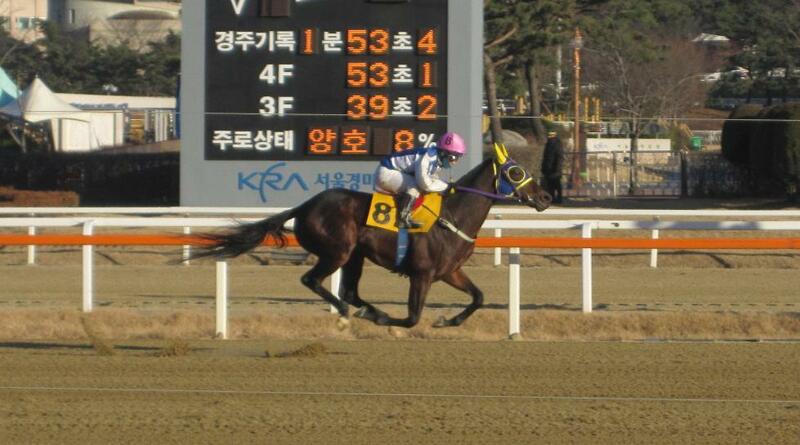 Victory for him would be a huge step forward for the Korean breeding industry. Mister Park, though born in Korea, was sired elsewhere and therefore couldn’t run in the Classics. He’s unproven but also untested at this level and could pull off a surprise. Then there’s Yeonseung Daero. When Dongbanui Gangja eliminated himself from the Busan Metropolitan, it was Yeonseung Daero who pushed Tough Win all the way to the line. If he’d have had a few more metres, he may have got him. Tomorrow he’ll have 300 more metres in which to do so. 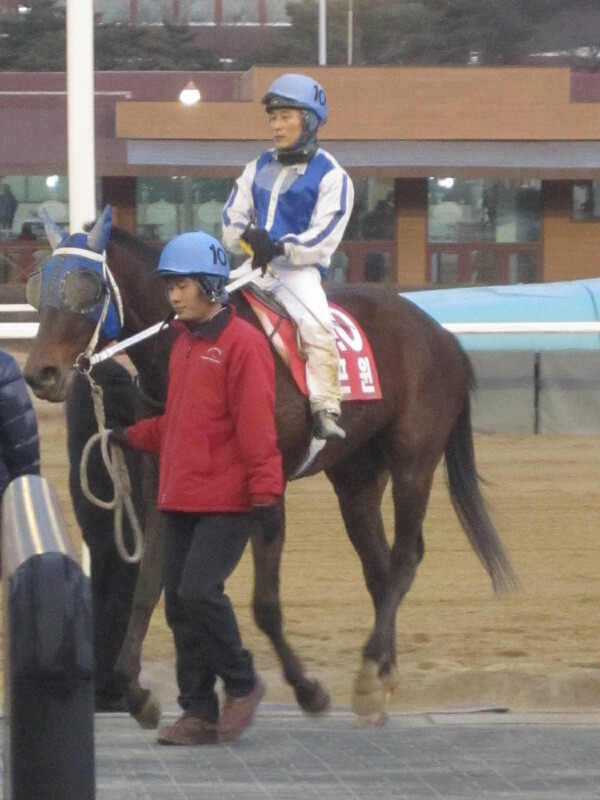 Today, at a bitterly cold Seoul Race Park the jockeys of both Tough Win and Dongbnaui Gangja warmed up with wins. Cho Kyoung Ho landed four victories while Choi Bum Hyun took two. Neither could win the feature race, however, as Holy Dreamer was guided to his ninth career victory by Jo In Kwen. Well back in the field was Baekpa, the 2007 Oaks winner putting in a disappointing run after being sent off favourite. Baekpa was fifth in the 2008 Grand Prix – after being allowed to trail 30 lengths off the pace on the first turn. That was her last run in Korea before a disastrous spell in the United States after which she returned a different horse. Nevertheless she remains popular. In the paddock, several punters called out her name and waved as she passed – As she has always done, she turned to look at each and every one of them. Gyongmaman’s Verdict: Tough Win has answered every question put to him so far and there’s no reason why he can’t do so tomorrow. Gyongmaman will, however, be rooting for Dongbanui Gangja to make history with a third straight Grand Prix victory. It’s the big one. The stars of Korean racing will assemble in the floodlit late afternoon at Seoul Race Park on Sunday for the 29th Grand Prix Stakes to decide who is the undisputed best on the peninsula. 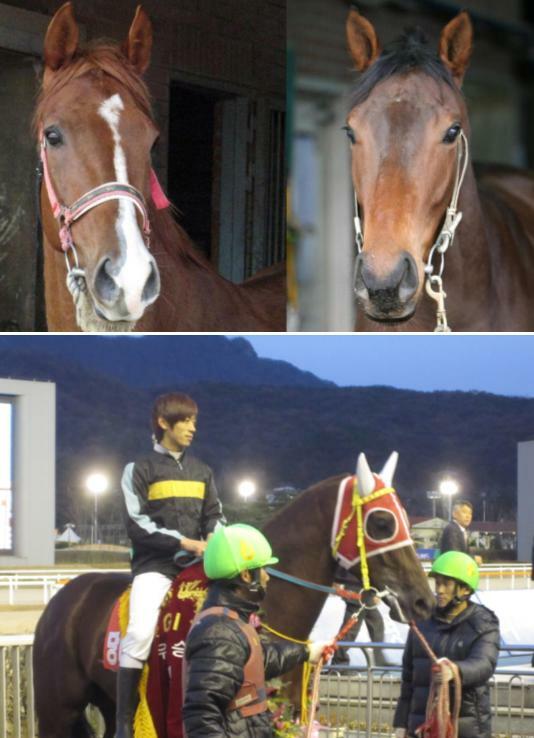 If Dongbanui Gangja can win, he will become the first ever horse to claim three Grand Prix. However, he has it all to do. The young upstart, Tough Win has beaten him twice and, in his nine starts to date, has shown no inclination that he knows how to lose. Then there is the southern challenge. Busan sends seven of the twelve entrants. Chief among them is Dangdae Bulpae. The three year-old has already won twice in the capital, claiming the Minister’s and President’s Cups in dominant style. If he could upset the favourites on Sunday, it would be a massive boost for the Korean breeding industry. Joining him on the trip up the Gyeongbu Expressway is Mister Park. The gelding has won his last ten races and is not coming to Seoul for the weather. Likewise Yeonseung Daero will be there. He pushed Tough Win all the way in the Busan Metropolitan and will be sure to do the same on Sunday. A winner in all but his first outing, he’s won five times at class 1. Has managed to avoid the very best and has not taken on imported horses before, but he does hold a five-length win over 2009 Minister’s Cup winner Namdo Jeap. Looking to make history with three consecutive Grand Prix. Has been difficult to control as a five-year old but, unlike the others, he is a proven winner at this distance. If he can be kept in a straight line, he will take advantage should Tough Win fail to stay the course. Jo Sung Gon’s choice to ride this one instead of Dangdae Bulpae isn’t one to please the romantics. The realists though would see he has a point. A proven winner at longer distances, he had an off-day when beaten by a number of this field in the Busan Metropolitan in July. Former Grand Prix winner Bally Brae was invited but won’t be running. However, his half-brother will be. Jumong will be an outsider here but the three-year old already has a class 1 victory to his name and looks set to improve even more. One of the Grand Old Men of Busan, Gunham has had an up and down career but roared back into the winner’s circle last month beating a host of his youngers – and supposed betters. He’ll be an outsider but deserves to cap his career with a shot at the biggest race of all. If he had timid connections, Yeonseung Daero would have a much better win rate. Instead, his owners have been sportsmen and have never hesitated to run him against the best opposition available instead of restricting him to face fellow Korean bred runners. He got closer than any horse ever has to Tough Win all the way in the Busan Metropolitan and was second to Dangdae Bulpae in the President’s Cup. This horse is a battler. An improver but has never won over seven furlongs and difficult to see him troubling the placings here. Has had a very impressive four-year old season. Will need to run the race of his life here but cannot be discounted from a place finish. The one to beat in that he never actually has been beaten. The one question is will he stay the 2300 metres? While his first win over Dongbnaui Gangja was marred by the latter’s manners, the second was decisive. 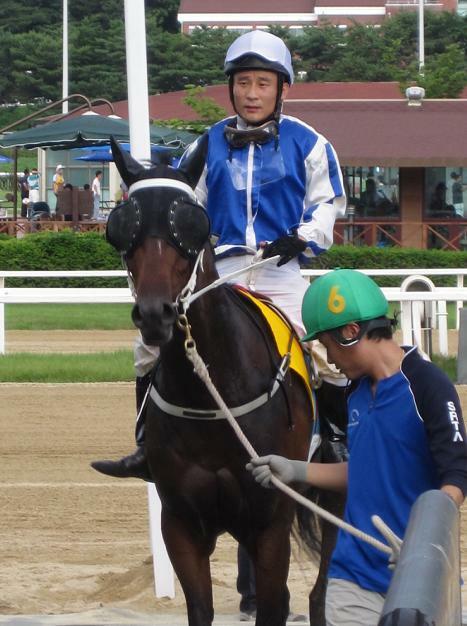 Yeonseung Daero got very close to him in Busan though and that extra distance is all that stands between Tough Win and, at the age of three, already being talked about among the greats of Korean racing. A pair of good wins in the autumn sandwiching third place behind Tough Win and Dongbanui Gangja in the KRA Cup Classic made him an obvious starter here. Difficult to see him winning but could well make a nuisance of himself at the business end of the race. The friends & relatives vote – and the likes of Cheonnyeon Daero staying home – has got this one in. A good, solid competitor, but out of his depth in this company.